Today is an exciting day. I get to show you the first of several patterns I had the great privilege of testing and sewing up over the last few weeks. 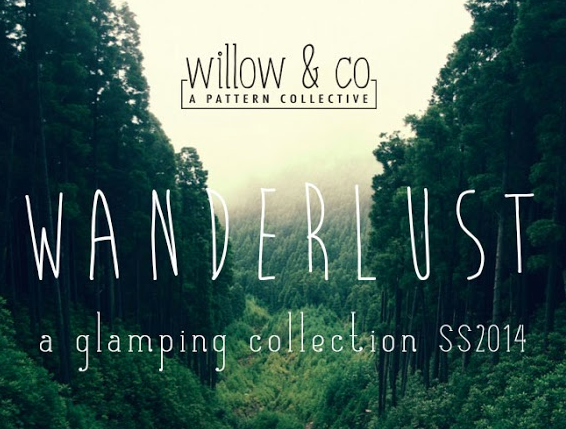 It's a Willow & Co week, here on this blog, shall we say. Have you heard of Willow & Co? If you haven't, and you are a reader of sewing blogs, you are about to hear a LOT about it, I have no doubt! 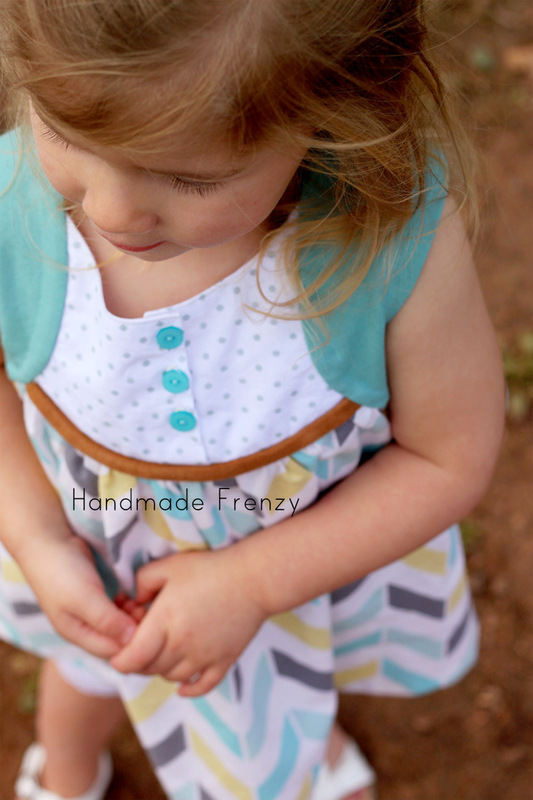 Willow & Co, is a collaborative effort between 10 bloggers, who are working very hard to build a collection of children's patterns that you will LOVE. Seriously. You will LOVE them. 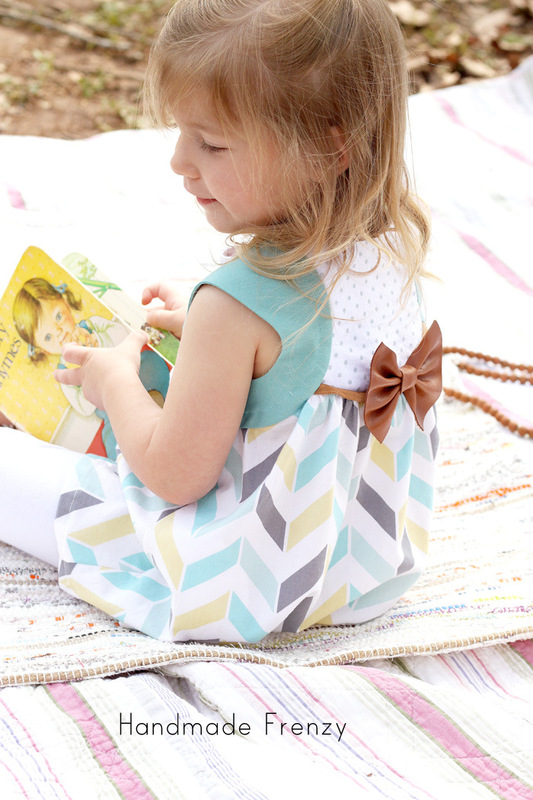 I have only had a chance to sew up several of the patterns that are included in the collection that will be released on Tuesday, APRIL 22nd and I can absolutely not wait to sew up each and every one of them for my kids! The first collection they are putting together is called Wanderlust. 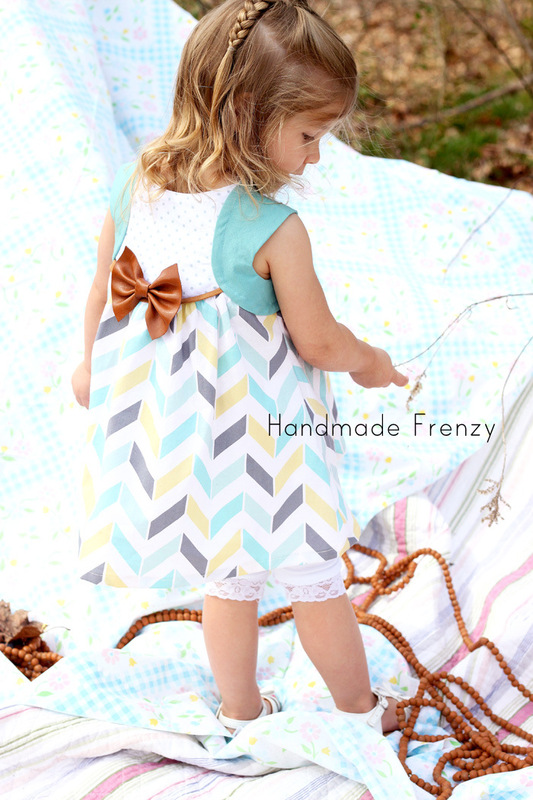 What I love most about the patterns is, not only are the designs, fresh, unique, and so adorable. The patterns and tutorials are extremely well written, you will learn tips and tricks along the way, and most importantly. 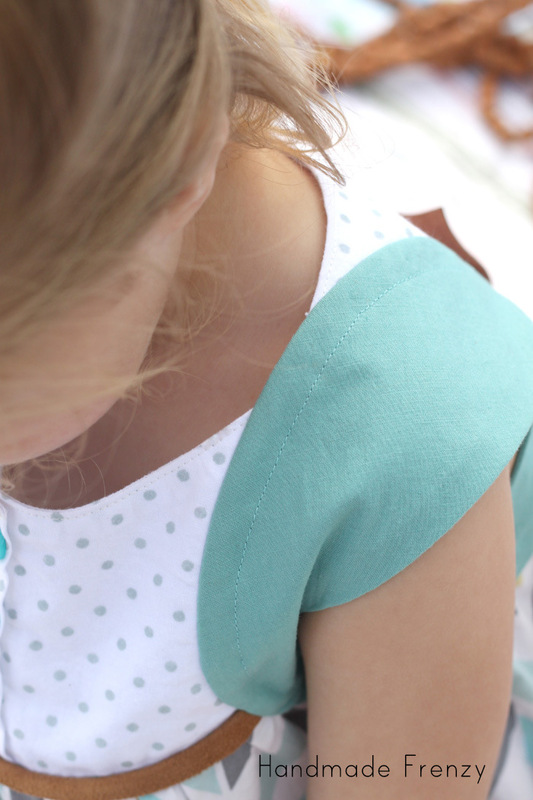 You will end up with a quality garment for your child that you will be so proud of and will have confidence that the garment you just sewed will LAST. 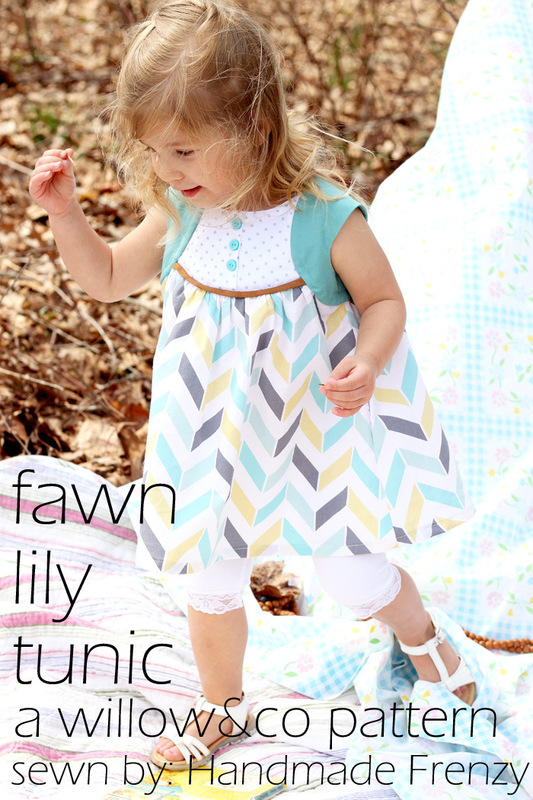 The first pattern I get to show you is the Fawn Lily Tunic. I have so many amazing things to say about this pattern. First of all, the design just blows me away. I can't think of another pattern I've seen that is similar. Not to mention the clever way it comes together while sewing. 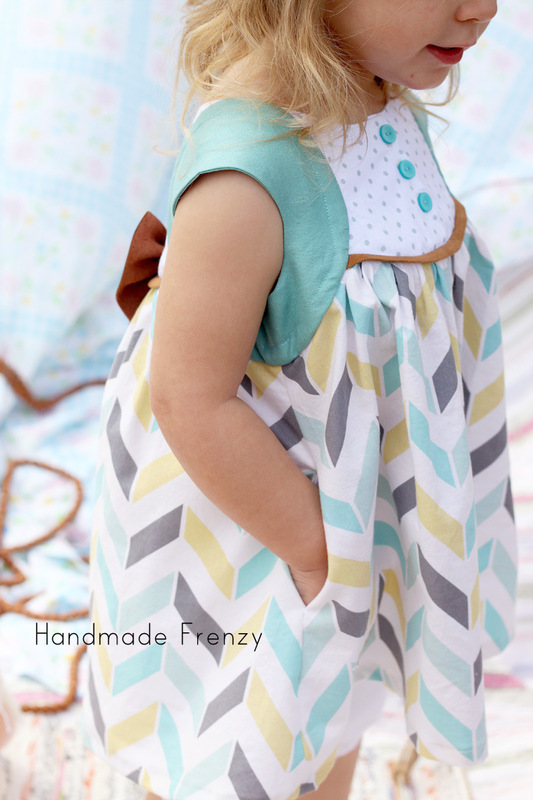 It also allows for some really fun pattern mixing! 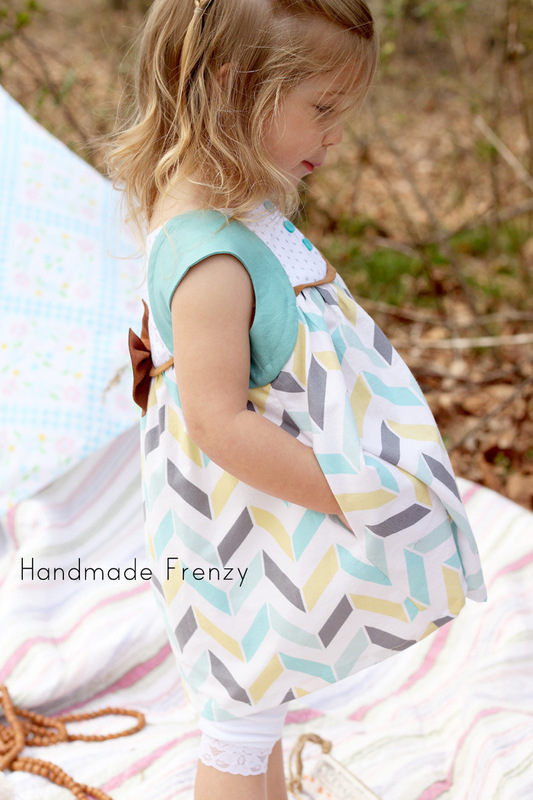 I had a blast choosing these fabrics and seeing how they came together in the end. The bow on the back is not part of the pattern, but a very simple addition. I made this one out of leather, I love how it contrasts with the soft colors and textures of the the fabrics I used on the tunic. The bow is super simple to make. Just cut out a 4"x4" square of leather. Accordion fold it four times. Use a heavy duty needle and thread and hand stitch through the folds from top to bottom. Cut a small strip for the center, I think mine is about 1" wide. Wrap around the center of the bow, overlap at the back and hand stitch it closed on the back. I pinned it to the dress for now, but I think I will go back and hand tack it to the dress. Pay attention to the sizing on this pattern. The sizing is generous, but if you go with the chest measurements given in the pattern, you will be sure to get an amazing fit! O is 2 1/2, but with a petite build. I made the 12mo based on the size chart and the fit is absolutely spot on! I could have lengthened it a bit more, but that is to be expected. I love all the finishing techniques used in this pattern. Everything is so clean and neat. O love, love, loves the pockets. And the faux cap sleeves are just too sweet. In summary, I love everything about this pattern. And I'm so excited to show you the other items I made as well as anticipating the release of the collection, which will be SOON! Changes made: None. Only addition is the bow on the back of the dress. I'll be back tomorrow with another Willow & Co pattern to show you, I can't wait!! You really did a great job on this!!!!! I really love it!!! I just adore the bow! It's just perfect with the dress. And your fabric combinations are amazing--so pretty! And it definitely looks like she loves it. These girls sure love their pockets! Thank you! 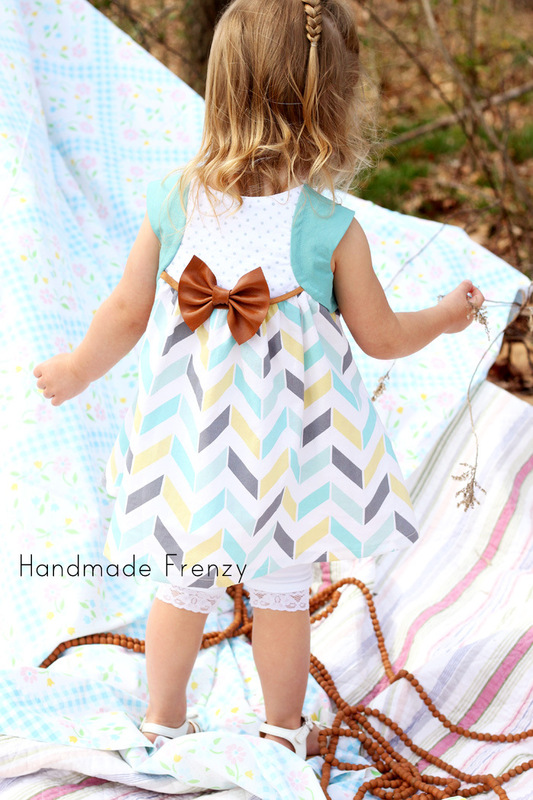 I've been looking for an opportunity to add a leather bow to something and when I saw this pattern I saw my chance :) Yep, pockets make her happy to wear the things I make for sure! Ohhhhh my gosh Heidi. SUCH a beautiful version....and the INSIDE...oh you are making us proud!! Thank you SO much Heidi! Awe, thank you Mie!! I have wonderful teachers :) Thanks for letting me test! <3 Amazing! I just love eveything you did; the fabrics, the bow, the photoshoot! And that is the first time I've seen your pretty inside of the dress! Swoon! Thank you so much for testing and for sharing today! Thanks so much for a great pattern and for letting me test for you!! 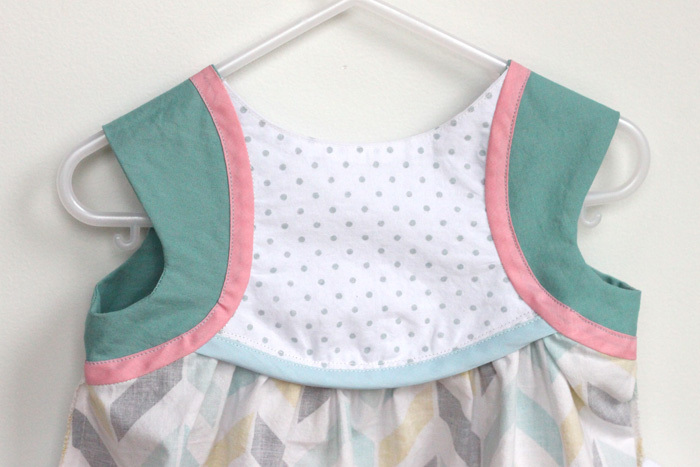 It's lovely on the inside because of your fabulous instructions, I use your tricks all the time now when I'm sewing, and that makes this pattern worth SO MUCH! This is just gorgeous. 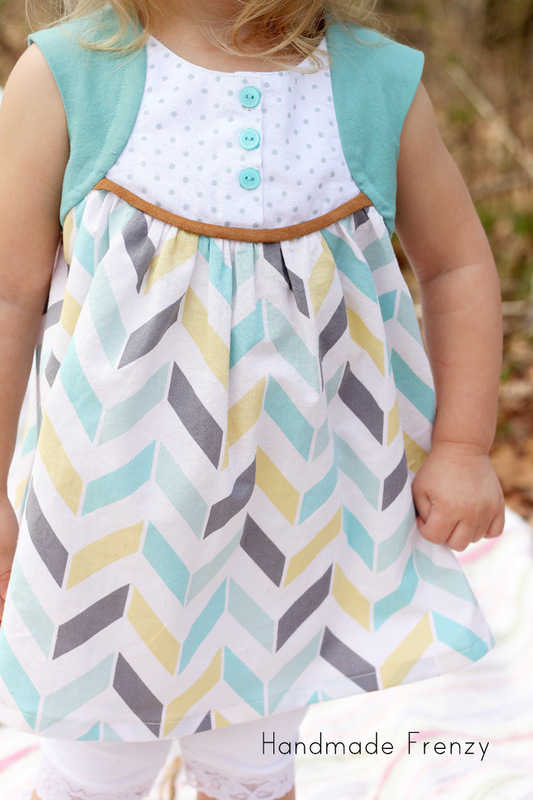 I love this pattern, I want one in my size!! This is **beautiful**!! I love your fabric combos (would it be naughty of me to be a copycat??). 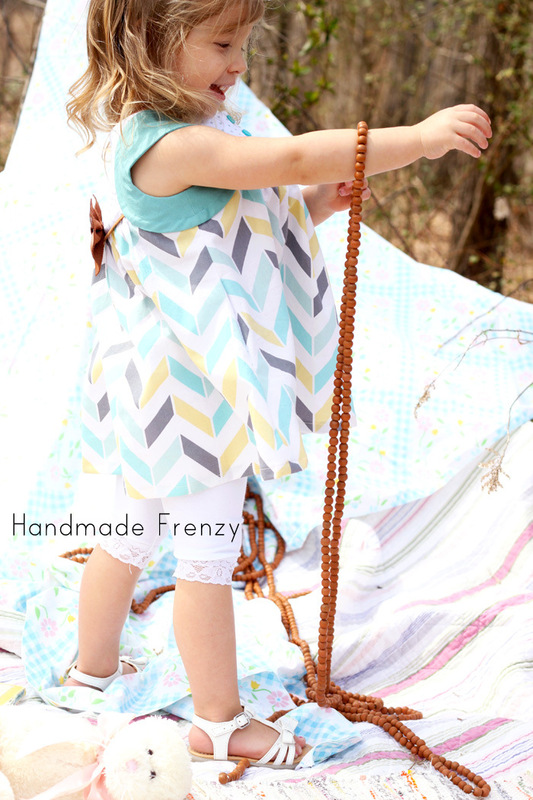 We're heading into winter here, but I am definitely going to get this pattern for my littlest one for summer. Copycat away! :) I'm glad to inspire! And thank you! !